Well I have promised that I would share some of my every day make up and hair with you guys for over a year now..and while I still am not happy with the video it is real life haha I am usually in a rush and don't have a whole lot of time to get ready...so if you are interested in my every day make up and hair routine then watch my latest Youtube Video! I promise these will get better! haha anything else you wanna see let me know!! I also wanted to talk about this flat iron. 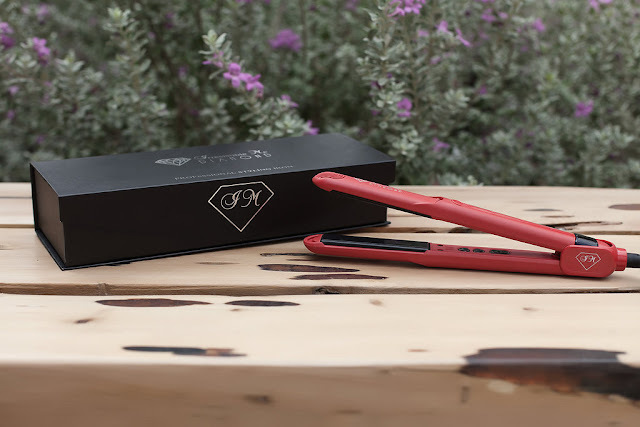 It was sent to me by Irresistible Me and while I am not one to accept a lot of things I really wanted to find a flat iron that I was comfortable using and well I thinkI did! The iron doesn't look like a lot and as a matter of fact I thought it felt a little light and flimsy at first...but later I realized that this is what made it so nice to use. First thing I loved when I turned it on was the fact that it was digital! I could read the temperature and control it! I don't use a lot of heat on my hair and ever since I died it red I really try not to. The coating on the ceramic plates is made out of crushed diamond particles...yeah you heard me right...diamonds! 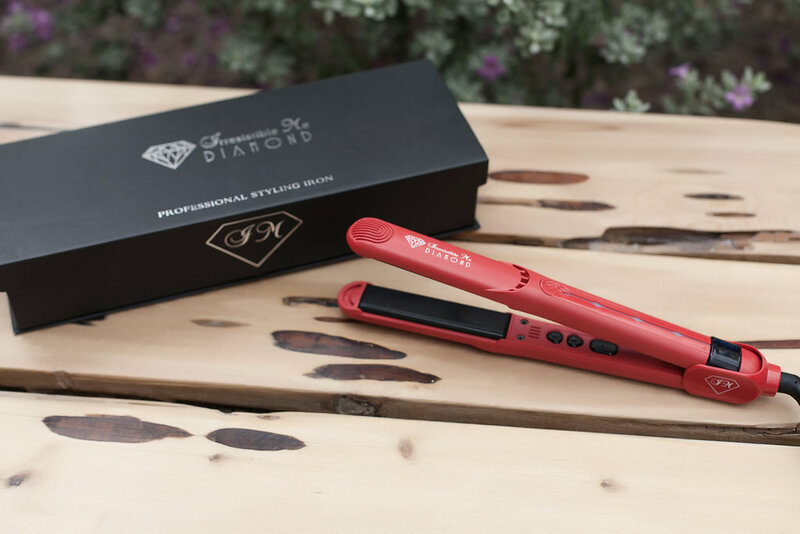 haha I din't really get it until I read a little bit more about how this mixture of tourmaline and diamond protects your hair locking in your natural oils, color and for me has kept my hair feeling shiny and less frizzy then my other flat irons I have tried! if you watched my video I didn't even blow dry my hair so it was pretty frizzy and when I got done it was so shiny and lasted for about 4 days!!! Now it isn't the cheapest flat iron but it certainly isn't the most expensive and you guys can get a discount as I have asked them to give me a code! So some of my favorite features on this thing are well the plates and the digital temp as well as the cord that swivels since I am always multi tasking while doing my hair! haha I also love the fact that it is light and the grip is super easy to hold! I am also rushing and the iron gets super hot within seconds and that is HUGE! 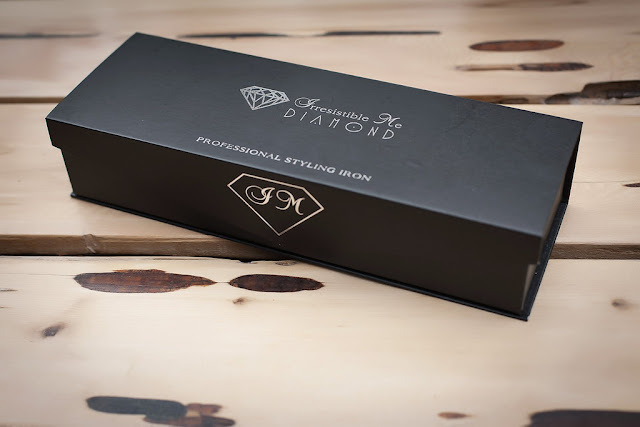 I will do a few more videos of me using it but I am finally happy to say that I stand by this flat iron and can not wait to try other tools from them...my hair is all mine I know they have great extensions but maybe I will try the curling iron too!!! Have you guys tried this yet? If so let me know! until then! Your hair looks beautiful! I have naturally curly hair. Although it's currently short, at one time it was below shoulder length. I used huge rollers, but it would have been a blessing to have owned a flat iron like the Irresistable Me Diamond Professional Styling Iron. If I do ever grow my hair long again I will definitely be looking for one.